The Seahawks were up, 28-14, against the Lions late in the fourth quarter. They could have taken a safety. They could have just punted the ball. Kansas City leads the Broncos, 30-14, in the third quarter. 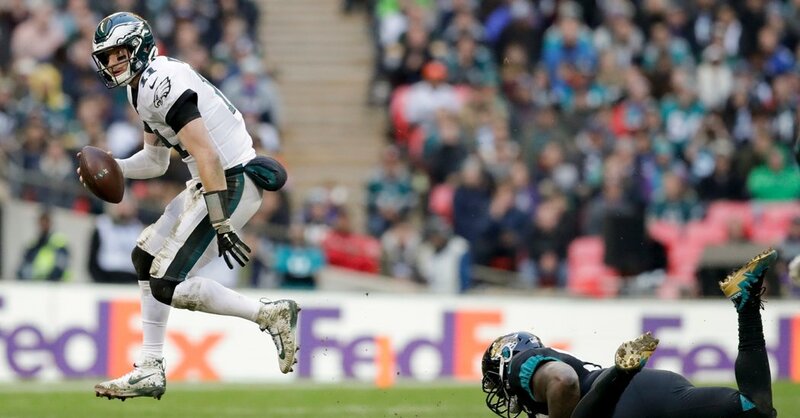 Carson Wentz threw three touchdown passes to lead the Philadelphia Eagles to a 24-18 victory over the Jacksonville Jaguars at London’s Wembley Stadium on Sunday.